Until now, researchers believed farming was "invented" some 12,000 years ago in the Cradle of Civilization—Iraq, the Levant, parts of Turkey and Iran—an area that was home to some of the earliest known human civilizations. A new discovery by an international collaboration of researchers from Tel Aviv University, Harvard University, Bar-Ilan University, and the University of Haifa offers the first evidence that trial plant cultivation began far earlier—some 23,000 years ago. The study focuses on the discovery of the first weed species at the site of a sedentary human camp on the shore of the Sea of Galilee. It was published in PLOS ONE and led by Prof. Ehud Weiss of Bar-Ilan University in collaboration with Prof. Marcelo Sternberg of the Department of Molecular Biology and Ecology of Plants at TAU's Faculty of Life Sciences and Prof. Ofer Bar-Yosef of Harvard University, among other colleagues. "While full-scale agriculture did not develop until much later, our study shows that trial cultivation began far earlier than previously believed, and gives us reason to rethink our ancestors' capabilities," said Prof. Sternberg. "Those early ancestors were more clever and more skilled than we knew." Although weeds are considered a threat or nuisance in farming, their presence at the site of the Ohalo II people's camp revealed the earliest signs of trial plant cultivation—some 11 millennia earlier than conventional ideas about the onset of agriculture. The plant material was found at the site of the Ohalo II people, who were fisher hunter-gatherers and established a sedentary human camp. The site was unusually well preserved, having been charred, covered by lake sediment, and sealed in low-oxygen conditions—ideal for the preservation of plant material. The researchers examined the weed species for morphological signs of domestic-type cereals and harvesting tools, although their very presence is evidence itself of early farming. "This uniquely preserved site is one of the best archaeological examples worldwide of the hunter-gatherers' way of life," said Prof. Sternberg. "It was possible to recover an extensive amount of information on the site and its inhabitants." "Because weeds thrive in cultivated fields and disturbed soils, a significant presence of weeds in archaeobotanical assemblages retrieved from Neolithic sites and settlements of later age is widely considered an indicator of systematic cultivation," according to the study. The site bears the remains of six shelters and a particularly rich assemblage of plants. Upon retrieving and examining approximately 150,000 plant specimens, the researchers determined that early humans there had gathered over 140 species of plants. These included 13 known weeds mixed with edible cereals, such as wild emmer, wild barley, and wild oats. The researchers found a grinding slab—a stone tool with which cereal starch granules were extracted—as well as a distribution of seeds around this tool, reflecting that the cereal grains were processed for consumption. 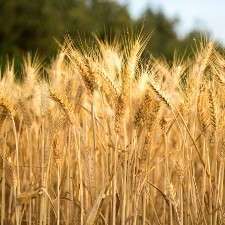 The large number of cereals showing specific kinds of scars on their seeds indicate the likelihood of those cereals growing in fields, and the presence of sickle blades indicates that these humans deliberately planned the harvest of cereal. The new study offers evidence that early humans clearly functioned with a basic knowledge of agriculture and, perhaps more importantly, exhibited foresight and extensive agricultural planning far earlier than previously believed. The open access paper "Origin of Cultivation and Proto-Weeds, Long Before Neolithic Farming" can be found here http://journals.p...0131422"
Cool. Many of us have no problem with faith and science. Many scientists are educated beyond their native intelligence as are many ministers. I know our ancestors had quite a bit on the ball. Most civilized people now living would not last a week in the wild. Good riddance.